EHQS will come to your site and perform workplace assessments. Although there are many aspects to occupational/industrial hygiene work the most known and sought after is in determining or estimating potential or actual exposures to hazards. 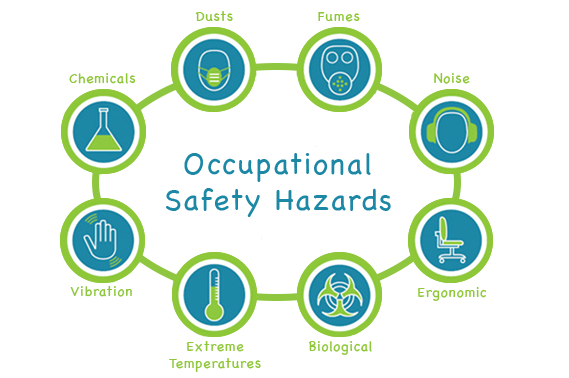 For many chemicals and physical hazards, occupational exposure limits have been derived using toxicological, epidemiological and medical data allowing hygienists to reduce the risks of health effects by implementing the “Hierarchy of Hazard Controls”. Several methods can be applied in assessing the workplace or environment for exposure to a known or suspected hazard. For basic characterization, hazard identification EHQS performs walk-through surveys. The first step in understanding health risks related to exposures requires the collection of “basic characterization” information from available sources. A traditional method applied by occupational/industrial hygienists to initially survey a workplace or environment is used to determine both the types and possible exposures from hazards (e.g. noise, chemicals, radiation). The walk-through survey can be targeted or limited to particular hazards such as asbestos, silica dust, or noise, to focus attention on control of all hazards to workers. A full walk-through survey is frequently used to provide information on establishing a framework for future investigations, prioritizing hazards, determining the requirements for measurement and establishing some immediate control of potential exposures. Other sources of basic characterization information include worker interviews, observing exposure tasks, material safety data sheets, workforce scheduling, production data, equipment and maintenance schedules to identify potential exposure agents and people possibly exposed. EHQS will work with you and your team to give you a professional assessment and make sure your employees are in a safe working environment while staying in compliance with applicable federal, state and local regulations pertaining to health and safety, particularly those found under Occupational Safety and Health Administration (OSHA) 29 Code of Federal Regulations (CFR) 1910 (General Industry) and 29 CFR 1926 (Construction Industry) and the United States Environmental Protection Agency (EPA).